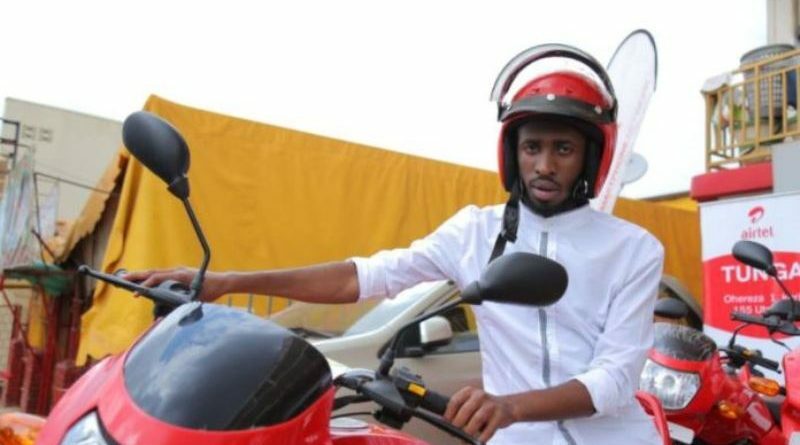 Jonas Bugingo, a 25-year old University student in third year of Accountancy has today won the 5th Airtel-Tunga motorcycle, bringing his win to two motorcycles since the promotion started. 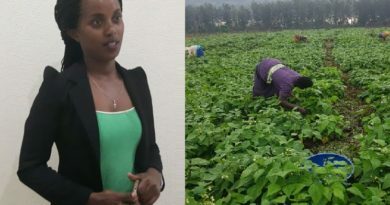 The Nyarugenge district’s resident has revealed that there are no obstacles or other tricks to win. He said instead that the secret is to respect the game by responding to the questions accordingly. “It is true, I won this motorcycle, they called me yesterday and they told me I won the 5th motorcycle. 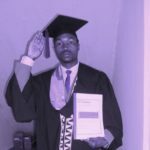 Winning this amazing motorcycle within three weeks I spent on the game, brought me great pleasure,” Bugingo said. He said that he did not spend much money because the secret behind the game is to get good marks. Bugingo said that the motorcycle will help him to ease transport and to tackle school financial-based issues. He said that nothing is complicated while playing the game. “Winning is easy and kinds of questions they ask are also easy. 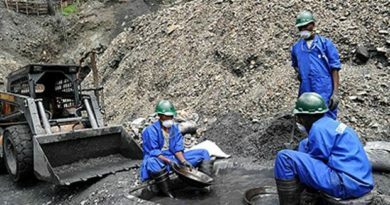 I thank Airtel-Rwanda to help me change livelihood,” Bugingo noted. 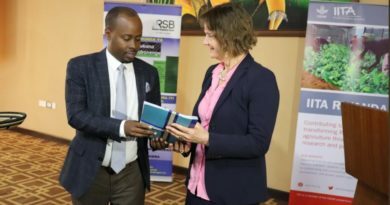 Airtel-Rwanda’s board encourages more winners to subscribe for Tunga Promotion and start trying their opportunities by calling at 155 or write ‘1’ in short text messages and send to 155. 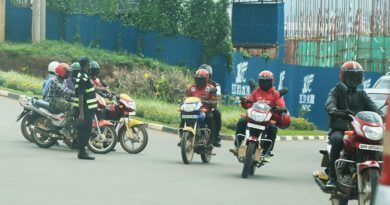 There are seven motorcycles and one car waiting for more winners during the ongoing Tunga Promotion. 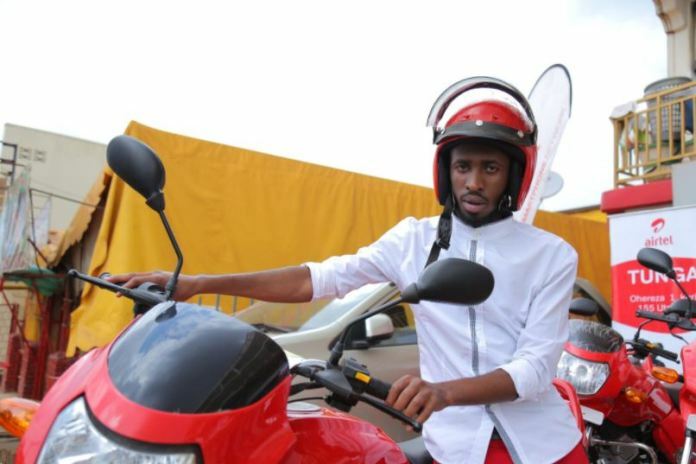 It is his second chance to win a motorcycle with Airtel Rwanda’s Tunga Promotion. 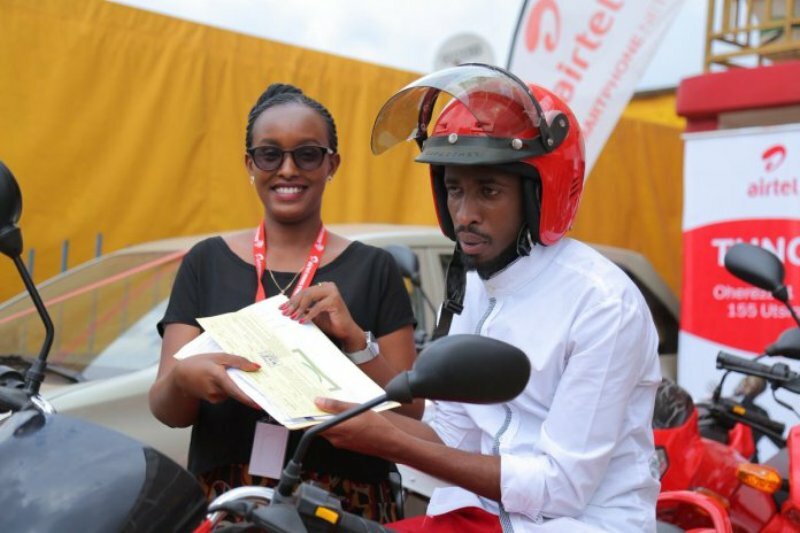 Bugingo receiving the motorcycle’s documents by Airtel-Rwanda.